Only time may tell us about the influence of an exhibition. Each decade has its own viewpoints. The artist-info selection below is not based on any ‘blockbuster’ criteria. It is our wide range of research from 1880 up to the present which adds exhibitions to this constantly updated list, some are well known and those which shouldn’t be forgotten. You find for each exhibition in our list below the complete artist list on the venue’s or curator’s artist-info exhibition history page. Its information is cross-linked to all the other related exhibition histories in artist-info and is providing this way a unique source. Documenting the core information of the media ‘Exhibition’ and cross-linking the artist’s, and curator’s names with the exhibition venues is artist-info‘s main focus. This service provides new insight, which wasn’t available before. 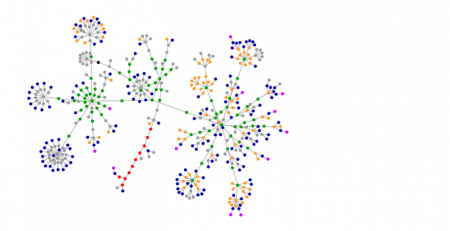 The artist-info Visualizing Art Networks service with an interactive network graph may certainly be the most cutting edge one available, besides our Artist Exhibition Statistics and Exhibition History Summaries. Collektivausstellung Edvard Munch, Nov 5 – Nov 12, 1892, Verein Berliner Künstler, the first exhibition in the renovated Rotunda, the main exhibition space, Wilhelmstraße 92/93, Berlin (building of the ‘Architekten-Verein zu Berlin’). The exhibition was shut down only seven days later after an extraordinary general members meeting, initiated by Anton von Werner (1843 – 1915), professor at the academy, because the more traditional members of the Verein Berlin Künstler could not agree with the work Edvard Munch (1863 – 1944) was showing. The selection of more than 50 influential exhibitions below shows how the positions of artists again and again open new perspectives. Last Update January 12, 2017 - Please check back for new and updated Influential Exhibitions. All participating artists on artist-info's Tate Modern page, and the curator's artist-info pages. Oct 2010 - Feb 2011, National Portrait Gallery, Washington D.C. This is the first major museum exhibition to focus on sexual difference in the making of modern American portraiture. Hide/Seek considers such themes as the role of sexual difference in depicting modern America; how artists explored the fluidity of sexuality and gender; how major themes in modern art—especially abstraction—were influenced by social marginalization; and how art reflected society’s evolving and changing attitudes toward sexuality, desire, and romantic attachment. and the curator's artist-info pages www.artist-info.com/curator/Cornelia-Butler. The project was created as an evolving, dynamic exhibition in three parts as a result of a long research work, reflecting the surprising developments that the Chinese cultural scene has experienced over the last few decades. This research and exhibition project took place 2 years before Facebook went online. Facebook has in April 2015 reported 1.4 Billion users, not to mention all the other social media and image community websites. iconoclash easily could be called not only groundbreaking but prophetic. It joins for the first time different cultures from West to East, different epochs from Middle Ages to modernism, different practices from science to art, in the search for an understanding of the nature of the image. This question is more relevant than ever, because the question of the image, always answered differently from different political and cultural perspectives, is central in a society built more than ever on visual media for the question: What is reality? ... The quandary of the many artists, saints, scientists, militants who populate this project is that they are taken in between those two contradictory urges: 'If only we could do without images!' - 'We cannot do without images!'. This is what we call an iconoclash, that is, a deep uncertainty on the power, sanctity, and violence of images. ; Bruno Latour, Peter Weibel, editors of the 700 pages catalog. Feb - Jul 2000, Anacostia Museum, Washington D.C.
Deborah Willis, curator of exhibitions at the Smithsonian's Center for African-American History and Culture in Washington, has spent much of her career recovering the work of black photographers and trying to redress widespread ignorance of their accomplishments. ''Reflections in Black: A History of Black Photographers, 1840 to the Present,'' a historical and biographical survey with nearly 600 reproductions, is her latest effort toward this goal. The exhibition sought to showcase a burgeoning group of English artists now known as the Young British Artists - YBAs. "The artists chosen for the exhibition have become increasingly visible over the past six years in self-promoted, renegade exhibitions and publications that have cropped up throughout London. Their aesthetically diverse and provocative artworks are united by a shared interest in ephemeral materials, unconventional presentation, and an anti-authoritarian stance that lends their objects a youthful, aggressive vitality." Please see as well below Freeze, an exhibition curated by Damien Hirst in 1988, Dock Offices, Surrey Docks, London, as another reference for Young British Artists - YBA. Black Male investigated the complex aesthetics and politics at work in representations of African American men in the post-Civil Rights era. The Whitney's multimedia exhibition looks at the black male as an icon. Showcasing work by 29 artists of varying race, ethnicity and gender (including David Hammons, Lorna Simpson, Robert Mapplethorpe, Pat Ward Williams, Jean-Michel Basquiat, Lyle Ashton Harris, and Andres Serrano, among others), the show, through installation pieces, photography, sculpture, film and video, presents a range of representation--images that "challenge and transform the 'negative' stereotypes," "real and imagined," writes Golden in the exhibition catalogue. It was the first exhibition of cotemporary Chinese art officially supported by the Chinese government. "Nonetheless, this Biennial is a watershed. David A. Ross and his curators get credit for breaking the biennial mold and demonstrating that this mainstay of the contemporary art scene can be radically changed, rather than simply adjusted year to year. - Installation art, sculpture and late century Conceptualism claim the front lines here, with painting far to the rear. The presence of George Holliday's tape signals one of the show's basic flaws, which is that it is less about the art of our time than about the times themselves." writes Roberta Smith in the New York Times, March 5, 1993. 'Internal Affairs' was Damien Hirst's first Solo-Exhibition at a public gallery. It included works from Hirst's most autobiographical series. All more than 100 artists on the artist-info page of Centre Georges Pompidou, and of Jean-Hubert Martin. "What is especially important to recognize is that this will be the first truly international exhibition of worldwide contemporary art." says Jean-Hubert Martin in an interview in 'Art in America', no. 77, New York, May 1989. Although Magiciens de la terre took place more than 25 years ago in Paris it was for many reasons an important moment in time and shows how contemporary art and artists are understood, then and today. The many statements and investigations are an example on how curatorial methods develop. A recent re-positioning was Retour sur 'Magiciens de la terre', Centre Pompidou, Paris, Jul - Sep 2014. Today some call Jean-Hubert Martin with his 1989 exhibition a "'Prophet' of Globalisation" (Hans Belting, ZKM, Karlsruhe) who wasn't welcome, others call him provocateur, or pioneer. The exhibition's four thematic sections are: Concepts, History, Affinities, Contemporary Explorations. All contemporary art artists of "Primitivism" in 20th Century Art: Affinity of the Tribal and the Modern on the artist-info page of MoMA, of William Rubin, and Kirk Varnedoe. The exhibition 'The Stars: 10 Years' and its catalogue were produced on the occasion of the tenth anniversary of the first exhibition of the Stars which was held in Beijing in October 1979. It serves simultaneously as a documentary review of the tumultuous events the group had experienced, and an appraisal of their new artistic production since the members dispersed to all corners of the world. are two iconic exhibitions by Hanart T Z Gallery, Hong Kong, serving as a significant link with the international art world. Stationen der Moderne documents in depth 20 exhibitions related to German art scenes from 1910–1969. Steven Adamson, Angela Bulloch, Mat Collishaw, Ian Davenport, Angus Fairhurst, Anya Gallaccio, Damien Hirst, Gary Hume, Michael Landy, Abigail Lane, Sarah Lucas, Lala Meredith-Vula, Stephen Park, Richard Patterson, Simon Patterson, and Fiona Rae. During his time at Goldsmiths College of Art Damien Hirst organized in July 1988 in an empty London Port Authority building at Surrey Docks in London Docklands his first exhibition, entitled Freeze. Brilliant! exhibition, 1995, Walker Art Center, on this page as another reference for Young British Artists - YBA. The last important survey in London was the '54-'64: Painting and Sculpture of a Decade exhibition at the Tate Gallery, Apr - Jun 1964. The selection of A New Spirit in Painting at the Royal Academy of Arts leans heavily on figurative painting, and the numbers of represented artists with German painters, 11, United States 9, Great Britain 8, the rest of the world 10 showed as well a shift in attention in comparison to '54-'64: Painting and Sculpture of a Decade. Information takes a broad look at the new directions of many artists around the world. It will consist of documentation of their ecological work renderings for possible or "impossible" projects (for example, "earthworks" to be executed in the desert), photographic series which record ideas; information transmitted through the various communications systems, and environmental situations. Szeemann’s own summary of the show’s content was itself lengthy, but it signaled this shift in the relationship of artist, studio and museum: "the obvious opposition to form; the high degree of personal and emotional engagement; the pronouncement that certain objects are art, although they have not previously been defined as such; the shift of interest away from the result towards the artistic process; the use of mundane objects; the interaction of work and material; Mother Earth as medium, workplace, the desert as concept." In 1968 Harald Szeemann gave as part of the exhibition 12 Environments - 50 Jahre Kunsthalle Bern Christo and Jeanne-Claude their first opportunity to wrap an entire building: the Kunsthalle itself. The other 11 artists: Mark Brusse, Piotr Kowalski, Konrad Lueg [Konrad Fischer], Bernhard Luginbühl, Lutz Mommartz, Martial Raysse, Klaus Rinke, Jean-Frédéric Schnyder, Jesús Raphaël Soto, Günther Uecker, Andy Warhol. First in-depth museum exhibition of Joseph Beuys. All objects of the exhibition were bought by collector Karl Ströher and became the famous 'Beuys Block', now on display at the Hessisches Landesmuseum Darmstadt. Karl Ströher financed the purchase of 'Beuys Block' and of a renowned Pop-Art collection, including Andy Warhol among other important artists, by selling his collection of Expressionist and Informel artworks. For Joseph Beuys see as well below 1965 and 1963. During a forum on the "New Sculpture" conducted at the museum Mark di Suvero famously remarked, "Primary Structures is the key show of the 1960s...", and also, "...my friend Donald Judd cannot qualify as an artist because he doesn't do the work", to which Judd replied, "...The point is not whether one makes the work or not... I don't see... why one technique is any more essentially art than another...". This show ushered in a radical new way of presenting ideas and space that did not rely on the artist's hand, but rather on the final result. McShine, in an effort to broaden appeal and show a wide variety of artists working in this form, included a West Coast contingent and most of the British artists from the New Generation show at the Whitechapel Art Gallery from 1965. It appeared that Primary Structures was to be formulated around Anthony Caro's former St. Martin's students, and the American group led by a relatively established Tony Smith. At various times, Stanton Loomis Catlin was deemed the “pre-eminent living scholar in the field of Latin American art” and “dean of Latin American art history in the United States.” One of his major contributions to the field was the organization of the landmark exhibit Art of Latin America Since Independence. Sponsored by Yale University and the University of Texas Art at Austin (today Blanton Museum of Art), the exhibition was the first to include only Latin American art in its full historical context since the turn of the century, and the catalog has remained a standard reference for scholars. It is Beuys' first solo exhibition in a commercial gallery. Jun – Oct 1964 Joseph Beuys took part the first time at a documenta show in Kassel. documenta III was the last documenta directed by Arnold Bode and Werner Haftmann together. The rumor Pop Art was provoking in the sixties shouldn't prejudice the view on other movements. The exhibition The Responsive Eye by William Seitz at the MoMA, Feb - Apr 1965 was an important statement for 'Op Art'. Especially during the sixties many exhibitions were focusing on the color white and the many reasons artists were attracted by it. are only two among many others you may find by searching artist-info for weiss, white, bianco. The White On White exhibition at the deCordova Museum was chosen for this list because the selection of artists and artwork provides a thoughtful overview, based on George Rickey's (Art Journal, 1964) and Barbara Rose's (Art in America, 1965) texts on constructivist artists. The exhibition provides a view from the outside on what happened in Europe, and in America. It was as well an important statement against the many art critics who disfavored the 'cool art, 'idiot art', 'know-nothing-nihilism'. 46 important museums, galleries, and collectors were lending artwork for White On White. Among them Albright-Knox Art Gallery, Buffalo; Leo Castelli Gallery, New York; Iris Clert, Paris; Richard Feigen Gallery, New York; Galerie Chalette, New York; Hanover Gallery, London; Internationale Galerij Orez, Den Haag; Martha Jackson Gallery, New York; Marlborough Galleria d'Arte, Roma; Museum of Modern Art, New York; The Pace Gallery, New York; The Betty Parsons Gallery, New York; Stable Gallery, New York. Curator: Alan Bowness, Lawrence Gowing, Philip James, nominated by the Calouste Gulbekian Foundation, which initiated the exhibition. June 20, 1964, the 32. Venice Biennial opened, introducing Europe to Pop Art, and awarding the American Robert Rauschenberg as the first American artist the Gran Premio. 54/64 closed and June 28, 1964: documenta III opened, this same day! The exhibition's selection of 169 artists (see all artists on the artist-info page of Tate Gallery, and of the curators) to showcase a decade was applauded as well as criticized, as a stylish experiment. Why was Jackson Pollock present only with one single inadequate work, like Pablo Picasso, while Richard Diebenkorn, Dine, Hockney, Jones, Lichtenstein, and Rauschenberg were celebrated with several works: Rauschenberg's 6 paintings covered 18 times more wall space than Pollock. After 50 years the curator's selection proofs to not have been this wrong. in Jun - Sep, 1997 at Kunsthaus Zürich. This early European Pop Art exhibition traveled to the Louisiana Museum, Humlebæk, Apr - May, and to the Stedelijk Museum Amsterdam, Jun - Jul 1964, with Pontus Hultén as curator. in March 1963 in Galerie Parnass, Wuppertal, Joseph Beuys demolished unexpectedly one of four pianos, which Nam June Paik had prepared with objects of daily use and barbed wire for his second solo-exhibition. Neither the galerist, Rolf Jährling, nor Nam June Paik, nor the audience was informed before about Beuys' performance. Joseph Beuys was since 1961 professor at the Kunstakademie Düsseldorf. "As the Abstract Expressionist became the world recognized painter of the 50s, the new Factual artist (referred to as the Pop Artist in England, the Polymaterialist in Italy, and here as in France, as the New Realist [Other title applied to artists with this point of view: Commonists; Neo-Dadaists; Factualists; Artists of Pop Culture and Popular Realists.] may already have proved to be the pacemaker of the 60s." (by Sidney Janis, Exhibition Catalogue). "The older artists, particularly Guston, Motherwell, Gottlieb, and Rothko, strongly opposed. They had a protest meeting and decided not to be associated with what they believed to be Johnnys-come-lately, and withdrew from the gallery as a body." said Sidney Janis. In the preface to the catalogue of the exhibition Les Nouveaux Réalistes in April 1960 at Galleria Apollinaire, Milano, Pierre Restany used the expression "New Realism" for the first time. The show included work by Arman, François Dufrêne, Raymond Hains, Yves Klein, Jean Tinguely, and Jacques Villeglé. Jim Dine, Robert Dowd, Joe Goode, Phillip Hefferton, Roy Lichtenstein, Ed Ruscha, Wayne Thiebaud, Andy Warhol. First Pop exhibition in a museum, at the Pasadena Art Museum (now the Norton Simon Museum). Lynn Foulkes complained: "I had to have the show and I had three rooms [Sep - Oct]. It was a big show. There was one [other] room with only about 15 paintings in this one room, and this was Walter's big hit. He's going to market it, “Pop Art on the West Coast.” So he has his first show and he's making this big poster. I remember at the time he's doing this big poster. It’s gigantic, all in color and they didn't do a lot of color stuff at that time. It was big and in color. It was going to be expensive, and I wanted to see what they’re doing with my poster for the Pasadena Art Museum. Well, he said they couldn't afford to do mine, even though my show was much bigger. He couldn't afford to do mine because he was pushing himself. He was going to do this big, gigantic color poster on Pop Art. " In: Oral history interview with Llyn Foulkes, 1997 June 25-1998 Dec. 2, by Paul Karlstrom, for the Archives of American Art. On this page and on artist-info blog post about the exhibition International Pop, at Walker Art Center, 2015, including the complete artist list, by thematic exhibition sections. A groundbreaking historical survey that chronicles the global emergence of Pop Art from the mid-1950s to the early 1970s, Apr - Aug, 2015, at Walker Art Center, Minneapolis. A groundbreaking change seemed to take place. Moderna Museet, Stockholm, only one year later, Feb - Apr 1963. One small painting by Jackson Pollock was opposed to six large Robert Rauschenbergs. Nul 62 at the Stedelijk Museum Amsterdam was the first significant exhibition in a museum for the ZERO network and included 24 participating artists. Nul 65, Apr - Jun 1965 at the Stedelijk Museum Amsterdam, this exhibition proved to be one of the most comprehensive representations of the richness and diversity of art being produced by the artists of the ZERO network. It took place at a high point in the history of ZERO, yet it was the last major museum exhibition of the network in the 1960s. ZERO: Countdown to Tomorrow, 1950s–60s, Oct 2014 – Jan 2015 at the Solomon R. Guggenheim Museum, New York, was a first large-scale survey in a United States museum dedicated to the history of the experimental German artists’ group Zero (1957–66) and ZERO, an international network of artists that shared the group’s aspiration. by which creative thought is organized. "The term 'assemblage1 has been singled out with this duality in mind, to denote not only a specific technical procedure and form used in the literary and musical as well as the plastic arts, but also a complex of attitudes and ideas. 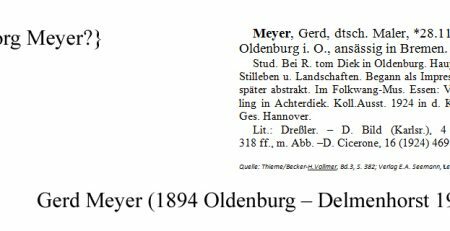 ", says Seitz in the catalog. All 138 artists on www.artist-info.com/museum/MoMA, and the curator's www.artist-info.com/curator/William-C-Seitz page. New Media - New Forms in Painting and Sculpture. Version II from Sep 28 - Oct 22, 1960. 'attack' is too aggressive a noun for the witty, ingratiating social activity to which so many of these works are dedicated. ", writes Thomas R. Hess in his review for 'Art News', Summer 1960. In total, 233 works by 83 artists from eighteen countries were shown, among them Robert Rauschenberg, Jasper Johns, Man Ray, Alberto Giacometti, Alexander Calder, Dieter Roth, Marcel Duchamp, Richard Hamilton, Jean Tinguely, Heinz Mack, Niki de Saint Phalle. The exhibition brought together artists working in kinetic art, performance, happenings and film, along with a host of 'static' works - some by artists linked to Neo-Dadaism, such as Robert Rauschenberg. The exhibition was described as the first 'International Exhibition of Art in Motion'. MoMA Exh. 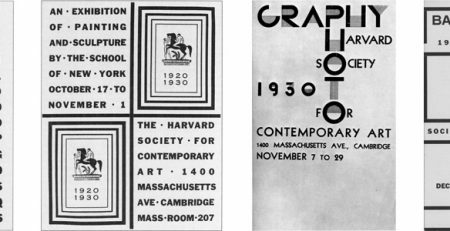 #11, Mar - Apr, 1931, exhibiting work of 25 artists. Sonia Gechtoff 1957 with the gallery's first solo show, Wallace Berman (1957), Billy al Bengston (1958), Ed Moses (1958), Robert Irwin (1959), John Mason (1959), Kenneth Price (1960), Llyn Foulkes (1962), Larry Bell (1962), and Ed Ruscha (1963). Ferus Gallery was the first gallery to show Warhol's Soup Cans in 1962. Beginning of the Blue Period. For the first time, Yves Klein presented an entire room of blue monochromes, eleven works of identical format (78 x 56 cm), uniformly painted in ultramarine blue, one of which was purchased by Lucio Fontana. "... Far beyond the outpourings of other worlds, already so imperceptible to our common sense of the reasonable, somewhat removed, no doubt, from what is called "the art of painting," at the level in any case of the most pure and essential emotional resonances, are these rigorously monochrome propositions: each of them sets off a visual field, a colored space, stripped of all graphic transcription and thus escaping from time’s duration, devoted to the unified expression of a certain tonality. ...", part of Pierre Restany's radical and provocative text for the invitation card. In 1955, the Kassel painter and academy professor Arnold Bode endeavored to bring Germany back into dialogue with the rest of the world after the end of World War II, and to connect the international art scene through a “presentation of twentieth century art.” He founded the “Society of Western Art of the 20th Century” in order to present art that had been deemed by the Nazis as degenerate as well as works from classical modernity that had never been seen in Germany in the destroyed Museum Fridericianum, Kassel. documenta I took place Jul 15 - Sep 18 as part of the Bundesgartenschau (Federal Horticultural Show) which took place in Kassel at that time. 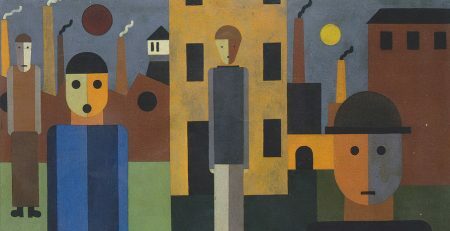 It featured 144 artists, of whom many are generally considered to have had a significant influence on modern art, such as Pablo Picasso, Joan Miró, Paul Klee, Marc Sacharovitsch Chagall, Max Beckmann, Max Ernst, Henri Matisse, Ernst Ludwig Kirchner, Alexander Calder, Wassily Kandinsky, Henry Moore, Hans (Jean) Arp, Josef Albers, Georges Braque, Emil Nolde, Fernand Léger, Lyonel Feininger, Ernst Wilhelm Nay, Karl Schmidt-Rottluff, Otto Dix. Besides emphasizing movement as an extension of artistic expression in the classical disciplines, the manifesto distributed for the exhibition at the Galerie Denise René focused in particular on cinema. Vasarely's 'Notes pur un Manifeste', the yellow leaflet produced for the exhibition, postulated couleur, lumière, mouvement & temps as the basic principles for the further development of kinetic sculpture. Mar - Apr 1961 at Stedelijk Museum, Amsterdam, Pontus Hultén and Daniel Spoerri organized their 'International Exhibition of Art in Motion' with 83 artists. In Feb - May 2010 Museum Tinguely, Basel, did restage this important exhibition. The full title of the exhibition on the invitation reads: "The Family of Man - An Exhibition of creative Photography, dedicated to the dignity of man, conceived and executed by Edward Steichen." The exhibition did show in 42 sections 506 photographs of 260 photographers, according to the checklist. After New York the show toured for 8 years through 37 countries, in different versions, seen by nearly 9 million people. Commenting on the show, Mr. Steichen says: Photographers all over the world have made this exhibition possible. They have photographed the everyday story of man - his aspirations, his hopes, his loves, his foibles, his greatness, his cruelty his compassion, his relations to his fellow man as it is seen in him wherever he happens to live, whatever language he happens to speak, whatever clothes he happens to wear. Edward Steichen was lauded for his show as well as criticized in 1955 as well as in the many years after. Just 10 years after the end of World War II his selection for 'The family of Man' followed a wide scope of images, ranging from artistic to journalistic photography, being a 'universal language' for a universal scheme. The exhibition was reinstalled 1994 at Chateau Clervaux in Luxembourg. The MoMA press release states: "These photographs, the earliest of which were made only four years after the invention of photography, are remarkable documents of camera work, taking a place in the history of photography comparable to that of the Gutenberg Bible in the history of typography. But it is for their artistic quality rather than for their archaeological significance that these forty prints, chosen from the collection of Heinrich Schwarz of Buffalo, New York, are exhibited. They represent perhaps the first use of photography as a medium of artistic expression, and form a part of its rich tradition." Showing Pablo Picasso's 'Guernica ', commissioned by the Spanish Republican government to be exhibited at the Spanish Pavilion of 1937 World's Fair in Paris, together with 'The Reaper' by Joan Miró and 'Mercury Fountain' by Alexander Calder. After Paris 'Guernica' was shown together with works by Matisse, Braque and Laurens in Oslo, Copenhagen, Stockholm and Göteborg, before arriving in London. It is today part of the collection of Museo Nacional. Centro de Arte Reina Sofía, Madrid. It was organised by the French writer André Breton, the surrealists' brain and theorist, and Paul Éluard, the best known poet of the movement. The catalogue listed, along with the above, Marcel Duchamp as generator and arbitrator (to appease the partly fierce conflicts mainly between Breton and Éluard), Salvador Dalí and Max Ernst as technical advisers, Man Ray as head lighting technician and Wolfgang Paalen as responsible for the design the entrance and main hall with "water and foliage". Galerie Beaux-Arts was run by Georges Wildenstein, at 140, Rue du Faubourg Saint-Honoré in Paris. 26 years later, the same year Robert Rauschenberg was awarded the Grand Prize of the 32nd Biennale di Venezia amid the sensational arrival of Pop Art, this important Surrealist exhibition took place in Paris. The exhibition presented 650 works of art, confiscated from German museums, and was staged in counterpoint to the concurrent 'Great German Art Exhibition' - 'Große Deutsche Kunstausstellung', at 'Haus der Kunst, which was to showcase art approved by the Nazis. The 'Entartete Kunst' exhibitions in the 30s have been subject to numerous research projects: Not only regarding single works of art by specific artists but as well regarding the impact on the development of Modern Art. The exhibition at the LACMA can be seen as the first in depth survey, based on the show in Munich which opened July 19, 1937, to better understand the 'Entartete Kunst' exhibitions and the related circumstances. The exhibition's architecture by Frank O. Gehry included the following sections: Entry area and corridor, Introductory gallery, Film gallery, Literature gallery, Music gallery, Works from 'Entartete Kunst'. See all artists of the 'Entartete Kunst' exhibition which are documented in the LACMA exhibition catalog. The exhibition traveled to The Art Institute of Chicago, Smithsonian Institution Washington D.C., Altes Museum Berlin. 64 artists of 14 different nationalities were exhibiting, among them Pablo Picasso, Joan Miró, Paul Klee, Max Ernst, Man Ray [Emmanuel Rudinski], Alexander Calder, Alberto Giacometti, Henry Moore, Hans (Jean) Arp, Marcel Duchamp, Salvador Dalí, René Magritte, Francis Picabia, André Masson, Constantin Brancusi, Méret Oppenheim. The exhibition was subsequently shown in San Francisco, Cincinnati, Minneapolis, Cleveland, Baltimore, Providence, and Grand Rapids. Although Alfred Barr states in the catalog's introduction that he is offering little which is new, his famous timeline on the catalog's jacket with the different movements in art from 1890 – 1935 offered for the first time a synthesis of the complex and interwoven concepts. The exhibition's different sections show his in-depth outreach and new approach: Painting, Sculpture, Constructions, Photography, Architecture, Industrial Art, Theatre, Films, Posters, Typography. Only three blocks away from MoMA's Cubism and Abstract Art at 11 W 53rd St. Albert Eugene Gallatin organized Five Contemporary American Concretionists in the Paul Reinhardt Galleries at 730 Fifth Avenue # 57th (this is the Heckscher Building [today Crown Building], the very same address where the MoMA opened to the public on November 7, 1929, on the twelfth floor), with a defined focus on American artists of the modernist movement: Charles Biederman, Alexander Calder, John Ferren, George L. K. Morris, and Charles Green Shaw. In 1989 Abstraction - Geometry - Painting at the Albright-Knox Art Gallery, Buffalo, organized by Michael Auping provides a good survey on abstract painting in America since 1945. In December 2012 Inventing Abstraction, 1910–1925 at the MoMA, New York, organized by Masha Chlenova, and Leah Dickerman revisits this important epoch, drawing a cross-media portrait of these watershed years. First Picasso exhibition held in an American museum. The first exhibition of the Museum of Modern Art, comprising one hundred works by Cezanne, Gauguin, van Gogh and Seurat came to its close December 7th. Over 47,000 people came to the exhibition, numbers increasing rather than diminishing as the four weeks passed. The last day 5,300 people crowded the Gallery. These figures are even more surprising when taking into account the Wall Street Crash of 1929, also known as Black Tuesday, October 29. It was the most devastating stock market crash in the history of the United States, when taking into consideration the full extent and duration of its fallout. The crash signaled the beginning of the 10-year Great Depression that affected all Western industrialized countries. Important exhibition for the Russian avant-garde artists in Western Europe and the non-objective movement. 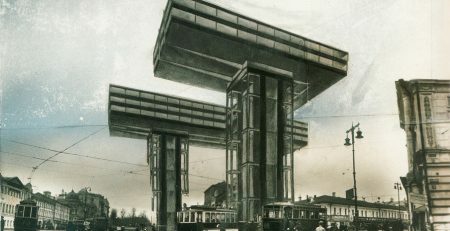 Our Blog Post Erste Russische Kunstausstellung Berlin 1922 – The Artists describes details and allocates the 160 artists in the catalog to their exhibitions in artist-info.com throughout the 20th and 21st century. The exhibition was shown as well in Chicago and Boston. It was the first large exhibition of modern art in America. The selection of artists was very much influenced by the Sonderbund Exhibition in 1912 at Cologne. This fourth Sonderbund exhibition in 1912 supplied a breathtaking review of early modern art: Vincent Van Gogh with 107 paintings, Paul Cézanne with 24 works, Paul Gauguin, Pablo Picasso with 16 works and the neo-impressionists Henri-Edmond Cross with 17 paintings and Paul Signac with 18 works, the first generation was set in context to more recent efforts all around Europe, with a special focus on Edvard Munch, with 31 paintings. 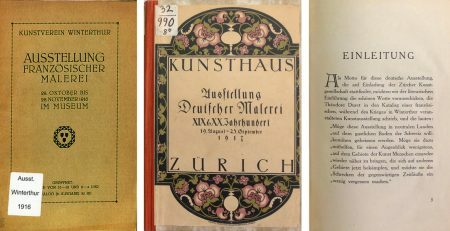 The Sonderbund 1912 exhibition was reinstalled 100 years later at the Wallraf-Richartz-Museum, Köln, giving an interesting insight into the reception of this outstanding exhibition during the past 100 years. '1912 - Mission Moderne', Aug 31 - Dec 30, 2012 was accompanied by a most thoughtful edited and exciting to read 646 pages catalog. Nov 5 - 12, 1892, Verein Berliner Künstler, the first exhibition in the renovated Rotunda, the main exhibition space, Wilhelmstraße 92/93, Berlin (building of the 'Architekten-Verein zu Berlin'). Edvard Munch's one-person exhibition was shut down only seven days after the opening compelled by an extraordinary general members meeting, initiated by Anton von Werner (1843 - 1915), director of the Royal Academy of Fine Arts, because the more traditional members of the Verein Berliner Künstler could not agree with the work Edvard Munch (1863 - 1944) was showing. Already on occasion of the Internationale Kunstausstellung Berlin 1891, the fifty years anniversary show, the then art-critic Cornelius Gurlitt (1850 - 1938) could state that the most up-to-date realist Norwegian artists were not included in this important show (Cornelius Gurlitt: Die Internationale Kunstausstellung zu Berlin 1891; Franz Hanfstaengel Kunstverlag, München, 1892, p. 119). With the exhibition Vereinigung der XI at Galerie Eduard Schulte, Berlin in April 1892 the movement of the 'unofficial' artists (Berliner Secession) became more evident to the public than ever before. On June 7, 1905, then since 1893 professor at the 'Königlich Sächsische Technische Hochschule', Dresden, four of Cornelius Gurlitt's architecture students founded the famous artist-group Brücke: Fritz Bleyl, Erich Heckel, Ernst Ludwig Kirchner, and Karl Schmidt-Rottluff. Please check back for new and updated Influential Exhibitions information. Next PostAre Auctions a good place to buy Contemporary Art?